Making an event successful is hard. I know that intimately. I’ve organized events that had one person show up. Literally, just one. Talk about embarrassing. But I’ve also organized events that had 1000 people in the audience and thousands more joining in from afar. So what made one a failure and one a success? How can you get more viewers, a larger audience, and bigger success? The difference comes down to a number of factors. Of course, the event itself has to be good. People have to want to be there. It has to be worth their time. Beyond this, it gets more complex. It exists, and this blog will explain what it is and how to leverage it to boost traffic to your website—potentially by a large amount. The method is called video live streaming. And it can change everything about how you run events. Before live streaming, events were limited by the size of the venue, the budget, or even the parking. That’s no longer true. Live streaming allows you to completely disregard these barriers and reach a global audience. You can hold a small, intimate event in your home or office. But simultaneously, you can reach thousands or even millions of people around the world. Essentially, live streaming allows everyone to become a TV broadcaster. But it comes without the major expense, or the hassle of competing with others for limited airtime. And with live streaming, you can reach every person with an internet connection. Last I checked, that was 3.17 billion. Plenty of real organizations are using live streaming to build their audiences. Twitter began live-streaming Wimbledon matches in 2016. NCAA sports live streaming has been popular for years. 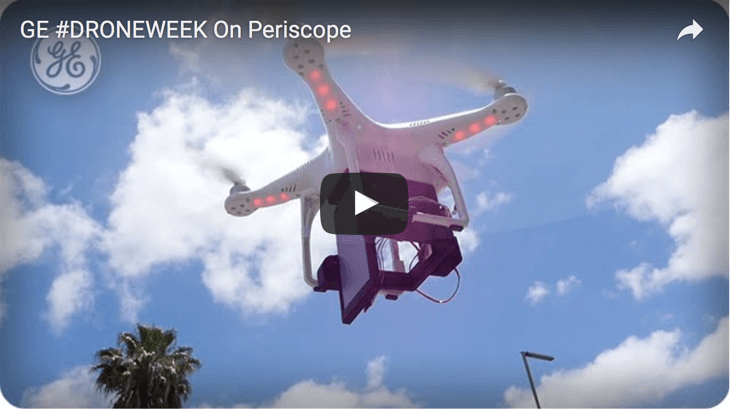 General Electric has used live streaming to reach 20,000 viewers via Periscope. It was a low cost, high-reward campaign. And Super Bowl 50 broke many live streaming records. Even Broadway plays are beginning to live stream online. The commitment and big spend by these brands is a good sign. Video is driving traffic and helping their business succeed. But what are the actual numbers? 52% of users will stay on a website longer if it features video. Marketers who use video grow revenue 49% faster than those who don’t. Videos appear in 52% of Google keyword searches—usually at the top of the list. Website visitors are 64% to 85% more likely to buy a product or service after viewing a video about it. 57% of the people who watch a non-profit’s video go on to donate to that organization. Online video ads are the most effective type of online ad. They have a 3x higher click-rate than text or image ads. 92% of shoppers say visuals are the most important factor influencing their purchase. Online video ads are as effective or more effective than TV ads. This has driven an 88% increase in interest in video ads. One in three millennials have purchased a product as a result of watching a tutorial or how-to video. These statistics point to one conclusion: video is a powerful tool for your business. It used to be the case that live streaming was overwhelming. The number of options and the technical knowledge required to get started was huge. Thanks to a revolution in technology and UX, those days are now over. Anyone can get started in live streaming today with a minimum of fuss. The market is full of choices at the moment. You can live stream using apps like Periscope, Meerkat, Lively, Blab, and Facebook Live. They’re free, easy to use, fast, and simple. Just pull your phone out, point at the action, and start streaming. However, some people need a more robust solution. For these people, I’d recommend a live streaming video host. It’s not as simple as streaming with an app, but the advantages are huge. That’s especially true for businesses and other demanding users. Live stream video hosts like Ustream, Livestream, and DaCast have advanced features that aren’t available on other platforms. For example, they allow fine-tuned access control over who can and can’t view content. However, learning how to start live streaming is beyond the scope of this blog. If you want to learn more on that topic, I recommend our earlier post on the subject. There are two real questions that this blog will address. Question 1: How can I generate excitement about my live stream? Even if you do know how to live stream, there are other barriers. Chief among them is this: how can you build an audience for your live stream? I have to be honest. The techniques for building your live stream audience are simple. But that doesn’t mean they are easy. To make your live streaming event successful, you’ll need to invest a good deal of time into marketing and promotion. Question 2: How can I drive traffic to my website? The answer to this question hinges on two elements: embedding, and marketing. Embedding is a simple technology that’s included in live streaming video hosts. Simply put, embedding allows you to host your live stream on one location: your website. Not on YouTube, not on Facebook, not on Twitter—just in the location you chose. To drive the most traffic to your website, you should embed your stream on your site, and no where else. But, there is a lot more to this picture. It all comes down to marketing. Here are seventeen specific methods to make your live events more successful and drive traffic to your website. As I said earlier, making your live event successful can be a challenge. Leveraging that success to increase traffic on your website can be even more difficult. However, some simple (and not so simple) techniques can help. This is a list of seventeen methods proven through data and real-world experience to help make live events more successful. We’ll start with a number of recommendations to put into practice before your event beings. The first element of you marketing plan has to be research. And you want to be specific. Gather names, websites, and contact information for individual people. Focus especially on your biggest fans, partners, or friendly media. The information can be gathered into a database or CRM system to track outreach. If you need a simpler method, just make a list and keep notes. The method doesn’t matter. You just need to gather information on your target audience. 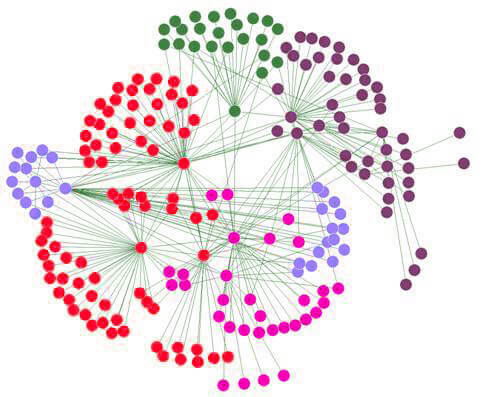 These gatherings will be critical to later marketing. Finally, look for social media celebrities. Bloggers, podcasters, YouTubers, and other thought leaders online can reach a big audience. These people can become allies later in the process. No matter how your outreach will look, the first step is knowing who are your people. From your initial list, you’ll now need to decide who are your primary targets. Who can’t stop talking about you? Who do you impact in critical ways? Who has a major audience and might actually help promote your event? These initial questions may seem boring. They don’t actually move things forward. They take time to answer. And results may be a long time coming. But if you want to run a successful event, this sort of planning and research is critical. It will determine how you spend time and resources down the road. For any event, choosing the right date is critical. You want to judge the goal of your audience members and the attitude they will bring. For example, if you’re planning a work-related or professional live stream, Monday and Friday may be poor choices. On Monday, people tend to need to focus on catching up on messages and getting on top of things. And on Friday, people are checking out early and heading home. 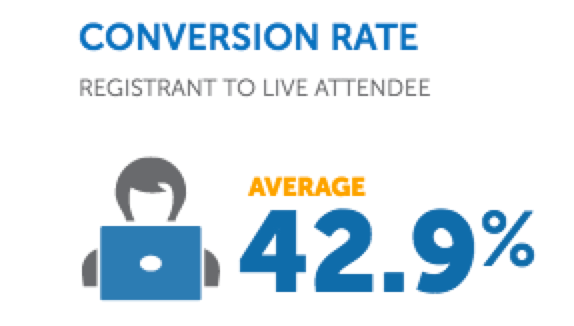 Webinar company ON24 conducted a survey of more than 7,000 events. They found that events held on Tuesday, Wednesday, and Thursday had by far the best attendance. People were 3 times more likely to attend mid-week compared to Monday. Midweek was 4 times more popular than Friday, and 25 times more popular than a weekend. Wow! Plan your live event for a Tuesday, Wednesday, or Thursday if it’s work-related. But of course, this is all circumstantial. The situation determines the best time for your event. For example, if you’re running an event for entertainment purposes, weekends and evenings are probably the best time. Concerts, plays, and comedy shows fall into this category. And if you plan to target a specific audience, you need to research the same issues in their region. Don’t make the mistake of scheduling a product demonstration focused towards a Chinese market on the Chinese new year! Choosing the right hashtag is important. It’s how people will communicate about your event on social media. 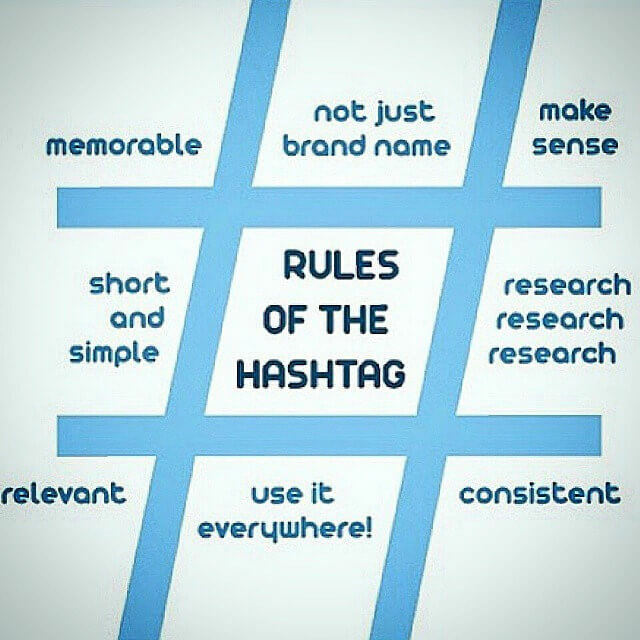 The right hashtag is short, memorable, and simple. The wrong hashtag could doom your social media efforts to failure. Events often use the name or acronym of the event, plus the year. For example, #SXSW2016. Whatever you do, make sure nobody else is using that tag! Now you have a good sense of who your audience is, your date and location, and the social media tags you’re focused on. Next, you can develop more of a marketing plan. A good plan should leverage the high-priority outreach targets identified earlier. Think of those people as amplifiers. It’s your job to get them talking. Hi there! This is Max from DaCast. We’ve noticed that you share a lot of stories about our business on your social media channels. Thank you for that! We’re hosting an upcoming webinar on the business of live streaming that you might be interested in. It’s on January 1st at 1am. Would you be willing to help us spread the word? Pro tip: swag helps. Try offering t-shirts, stickers, free service, and more to your biggest fans. It can go a long way toward building goodwill. Your marketing plan should also leverage blogging, SEO, and traditional media. Place event details in local newspapers, weeklies, magazines, and trade journals. Consider also reaching out to publications in areas where you have a strong audience. Ideally, your plan should have a number of stages. Each stage should include different “teasers” to get people excited about the event. Make a final push starting 14 days before your event. 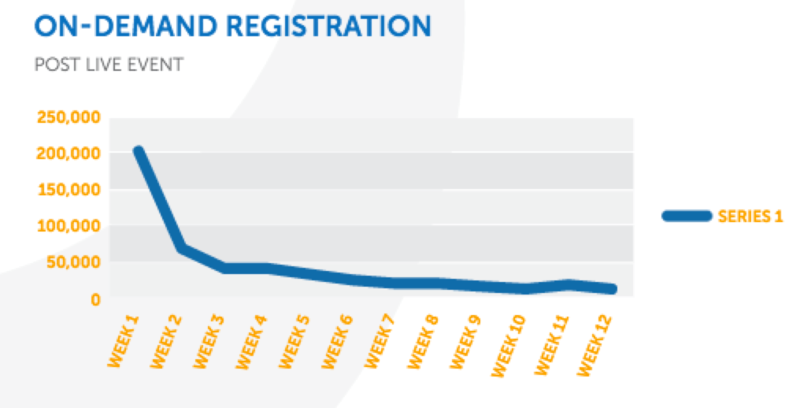 About 84% of attendees tend to register during this period. A full explanation of a marketing plan is beyond the scope of this article. But it’s important that you create one for any live event. Once you have a plan, you’ll have to follow through on it consistently. Ideally, you want to create “buzz” around your event. Buzz happens when other people spread the word for you. That means sparking conversations among the community itself. Social channels like Reddit and Facebook can be great for this. One obstacle in reaching a global audience is language barriers. Fortunately, it’s becoming less of a problem. Services like InterpreNet allow you to embed audio or closed captioning in other languages. This can be done by interpreters located in far-off locations. And this all can be done in real-time. To learn more about live interpreters and speech to text, check out this blog post from Wired Watershed. This post lays out more details about how this process works, and even features a nice DaCast cameo! There’s nothing that will make someone leave a broadcast faster than quality issues. 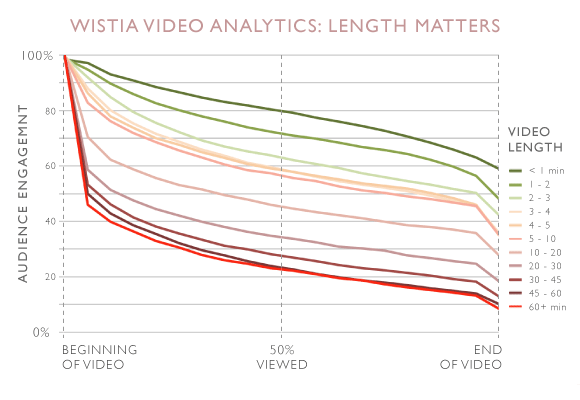 According to data from video experts at Conviva, about 20% of viewers stop watching a video immediately if quality is poor. Another 25% are quick to leave if buffering becomes a problem. The lesson is simple: quality is important. And to achieve good quality during your broadcast, you need to invest in planning now. That means securing a fast, dedicated internet connection, effective lighting, and quality camera equipment. In all your promotion, you should attempt to drive traffic back to your website. This is pretty simple. Just include links in every press release, message, email, blog, video, and social media post. Drive all traffic back to your site. Give people a reason to visit. That can be to purchase tickets, enter a drawing, get a coupon code, watch a sneak preview, or something else. Even a simple webcam stream can more than double traffic to a webpage. A true live streaming event can do even better. One last element of pre-event planning. Consider organizing viewing parties. We’ve seen this mostly around sporting events, with fans packing outdoor areas and empty stadiums. One watch party for the 2016 NBA finals sold 20,000 tickets in one minute. Yes, 60 seconds. That’s more than 300 tickets per second. Most likely, your event isn’t going to be that popular. But even so, watch parties can be a great idea. Even for business events, watch parties increase attendance, excite the crowd, and create more of a “live event” feeling. Especially if there is popcorn! To build excitement around your event, you need the crowd to help. That’s why you should encourage the audience to live Tweet, share photos on Instagram, and post to Facebook. It can even help to allow attendees to live stream themselves! That one may be counterintuitive, but if each live streamer brings in 100 additional viewers, your audience is growing. The length of online events is critical to success. In general, you should try to keep it short. Many studies have shown that people rapidly lose interest after just a few minutes of online video. However, when it comes to high-quality live content, people are willing to watch longer. 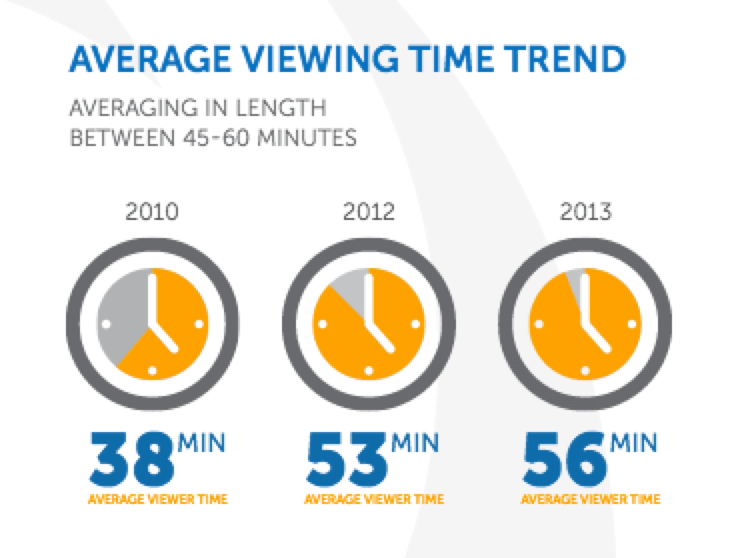 ON24’s webinar report showed the average viewer stuck around for 56 minutes! That’s pretty amazing for online content. However, if you’re planning an all-day event, be aware that people’s attention will wander. You may want to focus on driving traffic during a certain period—perhaps the keynote or central event. Throughout the event, you can continue to promote and build your audience. The simplest way to do this is to continue sharing updates on your email list, social media platforms, blog, and through partners. You can reach a lot of people last minute. And when the message reads, “come watch now, we’re streaming live,” a sense of urgency is created. There’s a reason why Vine, Instagram, and Snapchat videos are so brief. People have short attention spans. Like, really short. 8.25 seconds short. Any analysis of video viewers shows that there’s a huge decline in viewership right at the beginning. Just check out this graph from Mike Delgado. This points toward the importance of making your video start with a bang. You need to hook people in right away. Otherwise, they’re gone. Even though live streams tend to engage audiences better than other mediums, the beginning is critical. Whenever you’re planning a stream, make sure the beginning is well planned and well executed. Make it look good. Make it sound good. The best live streamers engage their audience through chat, polls, and social media. This creates a better experience for viewers. It can also be leveraged to drive traffic to your website. Any participation in the conversation should be honest (remember, give first). But you should be able to sneak in some links here and there! Here’s another one on the subject of giving. If you want to receive traffic to your website, you have to give something to your audience. One great type of content to give away is material from live streams. This could be PDFs, slideshows, recordings, music, and so on. As always, this type of content should be hosted… on your website! You could even consider building a mini-landing page for these materials, and include an email signup or other form. This can drive more traffic and build your lists. When a live event is over, it isn’t really over. You recorded it, didn’t you? After live events end, ON24 found what they called a “long tail.” Many people still continued to watch the content—in some cases, more than those who watched live. In fact, 87% of views happened after the fact. This can inform our strategy. Once a live stream is over, its possibilities for generating traffic and views is just beginning. Continue promoting and sharing your content after the fact. Consider repackaging it, sharing teasers and trailers elsewhere, and licensing for external broadcast. There are a lot of ways to continue to get value from that material. Does live streaming an event lower in-person attendance? But the truth is often opposite. 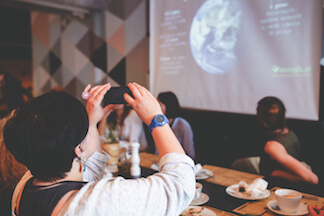 For almost every event, live streaming increases people’s desire to attend in person. Many people who attend events via live stream may attend in person next time it is held. ON24 found that rate to be an astonishing 42.9 percent. As another example, look at the Super Bowl. On television (which is much the same). They keep the whole thing contained, which drives traffic to their website. And it works. Super Bowl 50 had 71,088 attendees, but guess how many more watched via internet live stream. Nearly 4 million. That’s 55 times more viewers than showed up in person. It’s not easy to make an event successful. But it can pay MAJOR dividends. People talk about great events for years—maybe even for the rest of their life. That’s the type of exposure we all could use. Putting on a great event requires exceptional content. But it also requires the marketing and technology to reach the right audience. With the tools provided in this blog, you should be able to go global. That boost can increase traffic to your website, too. And as we all know, that’s a critical element of success in modern business. To share more practical knowledge about live streaming, DaCast is running a series of webinars. To learn more and register stay tuned on our blog and social media channels! Let us know in the comments if you have any questions. Thanks for reading! Great article. Good stats. Why no byline? Thank you for reading us Tom. Good idea for the byline, we might implement that very soon!